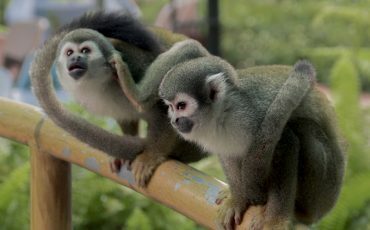 The Cuyabeno Wildlife Reserve is one of the Ecuadorian regions in the Amazon. It offers spectacular nature, wildlife and birdwatching opportunities. 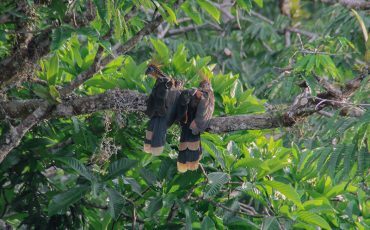 Do you want to enjoy and explore the rainforest during your Ecuador tour and don’t need a luxury suite or jacuzzi? Then Cuyabeno Wildilfe Reserve is the right destination for you. Lodges here are eco-friendly and comfy, but don’t expect any luxuries. Instead of a pool you have the Laguna Grande right in front of your lodge, which invites you for a swim surrounded by nature. 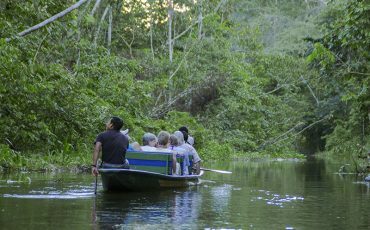 On your tour to the Cuyabeno Wildlife Reserve you will explore flora and fauna by day and night, gain an impression of the indigenous culture and traditions and travel by canoe a lot. 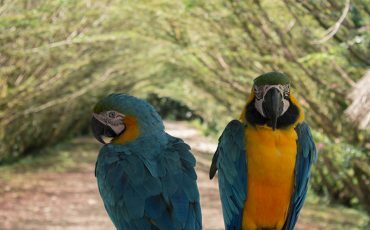 Nature, wildlife and birdwatching lovers get their money’s worth during this part of their Ecuador tour. 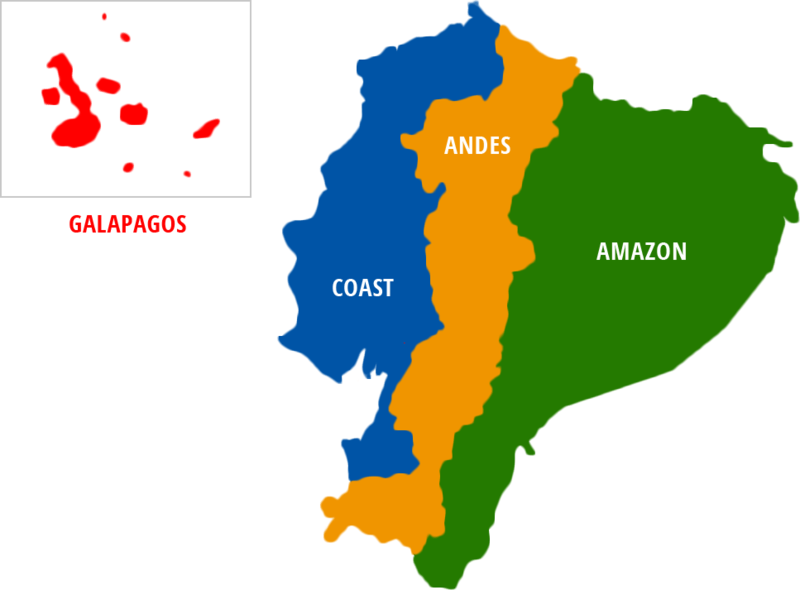 Fly over the Andes to the frontier oil town of Lago Agrio, (approx. start of tour 9:30 am.) Private transportation to the “Cuyabeno Bridge” (distance 100 km) where you will meet your guide and have lunch in a local restaurant. Motorized canoe transportation along the Cuyabeno River to Laguna Grande, (location of the Lodge). During this journey of approx. 2 hours (depending upon the conditions of the river) you will be able to observe the richness of the wildlife. 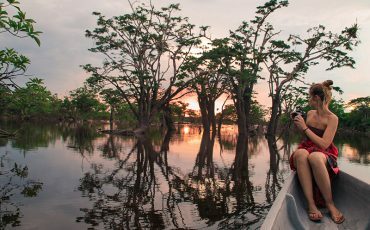 After settling into your room at the Lodge, exploring tour of the lagoon to observe animals, take a swim in the lake and enjoy the sunset from the canoe. After breakfast, take a walk through the “terra firma forest” with your naturalist guide who explains the wildlife, medicinal forest plants, the forest ecosystem and indigenous life. After lunch, a siesta, followed by a trip in a dugout canoe to the flooded parts of the forest with macrolobium trees covered with abundant epiphytes to spot monkeys and birds. 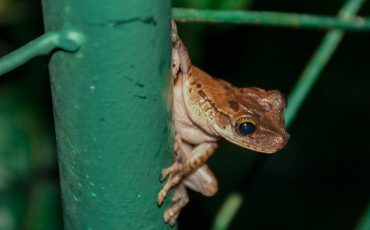 After dinner you have a night walk in primary forest to look for insects and observe nocturnal flora wildlife. In the morning, you follow the Cuyabeno River downstream to reach the Siona indigenous Village. 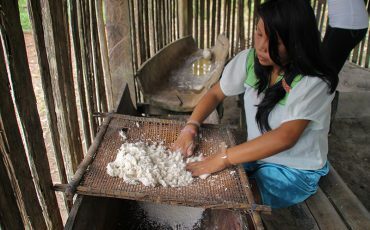 You can observe or participate in how they cook the typical “casabe” bread. 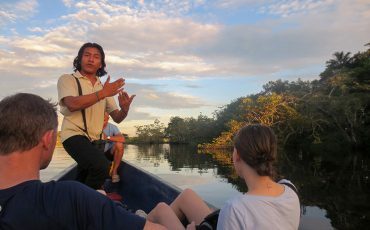 Your guide gives you some explanations about the way of life in the jungle and in the community. Return to the Lodge for lunch. Late afternoon you can have a siesta and a refreshing swim in the Laguna Grande. 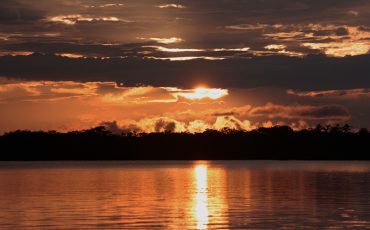 After dinner you go on a night excursion by canoe to spot caimans, snakes and nocturnal birds. 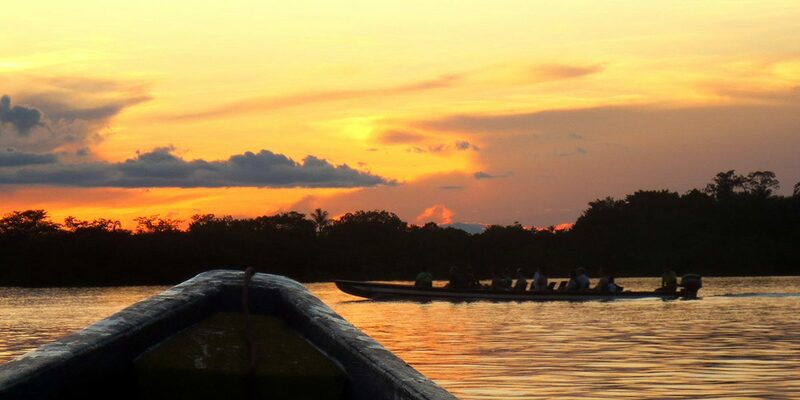 After breakfast, enjoy spending a day on the river by paddling in a traditional dug-out canoe, called “quilla”. It is the best way to discover the wildlife and listening the sounds of the nature. In the evening, you will go on an excursion to discover smaller lagoons or hike along other paths in the Cuyabeno Reserve. In the early morning, you head out for a last hike and for some bird-watching. After breakfast, journey upstream to the bridge where our vehicle will take you back to Lago Agrio (approx. time of arrival in Lago Agrio 15.30pm). Return to Quito by air. We provide a lunch box. Transportation Lago Agrio – Cuyabeno Lodge – Lago Agrio. Single supplement fee: USD $160,-p.p. 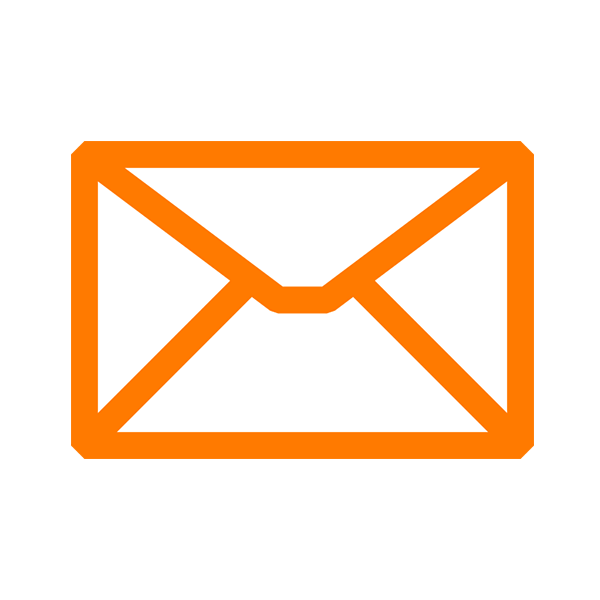 > Local community support USD $10,-p.p.